Be honest. Who cried? Be honest! I didn’t! I STILL haven’t cried at Doctor Who. Although believe me, this episode did really try, especially at the regeneration. I found it to be miles better than David Tennant’s regeneration, which I thought was too sappy. Here, the Doctor accepted his regeneration and it is probably the best one yet… OK, don’t have a full clip of the regeneration, speech and the cameo (which I will not spoil) so just watch the episode again because it is good. Also, like last time, if you haven’t seen the episode yet, then watch it first then read this. After four years, we finally get answers to all the loose threads and plot points from the Eleventh Doctor era, like the exploding Tardis, the River Song plot, the cracks and the Silence. They were tied together very nicely to make way for the main event. Not that yet though! Because we have an hour of awesome shots, a great story and some of the funniest Who moments since the three Doctors bantered in the 50th (guess that wasn’t too long ago). This episode has some of the coolest imagery and shots in a long time. I didn’t think anything could top the Doctors zapping the Dalek in the 50th but lots of things have. Let’s take a look! Seriously, so cool! But what about everything else? I really enjoyed how simple the whole scheme was and how the whole of Matt Smith’s era linked together so well. It also told a great story, with charming moments, sad moments, funny moments and clever moments. 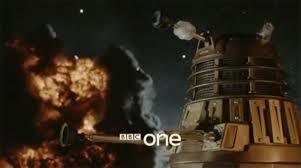 One thing I really liked was the Doctor staying on the planet to fight. 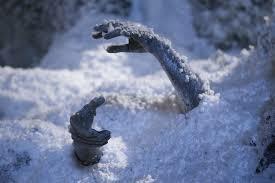 But it’s really the little touches that make this episode, like the music from the Rings of Akhaten (hugely appreciated) in the regeneration scene, the flamethrower Cyberman (which is probably one the coolest things ever), the Doctor’s walking stick (don’t know why, it’s just so cool), Amy’s cameo and that beautiful speech which the Doctor makes before regenerating. 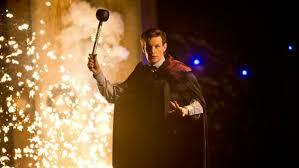 The episode was paced really well and perfectly balanced humour and drama like most of the Eleventh Doctor era. (I highlight most as I am talking to that episode which you know I hate and everyone loves). But let’s not talk about bad episodes, let’s talk about good episodes and the cleverest introduction to a Doctor that I’ve seen. DO YOU HAPPEN TO KNOW HOW TO FLY THIS THING!? 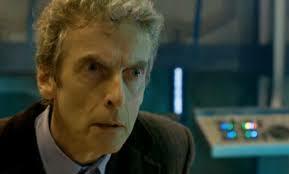 As for this episode, I think this concludes the Doctor trilogy (Name, Day and Time of the Doctor). All three combined create on of the greatest Who stories ever. Next The Scotland debate – Stay or leave? I am not as big a Dr Who fan as you are (who is! 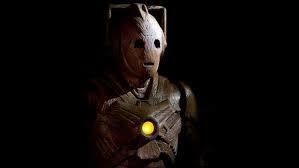 ), but I have to agree that this was a great story and the regeneration was a genuine WOW! moment. I know. The regeneration was great! I loved the new Doctor’s first lines. I want autumn to come quicker. I don’t know anyone who likes Dr Who more than me. Don’t know if that’s a good thing.